Eight-goal Vedad Ibisevic (r.) returns for Hertha Berlin having missed the VfL Wolfsburg victory with suspension. Hertha are without USMNT centre-back John Anthony Brooks for their clash with Bremen, so Niklas Stark or Fabian Lustenberger could be asked to drop into central defence alongside Sebastian Langkamp. 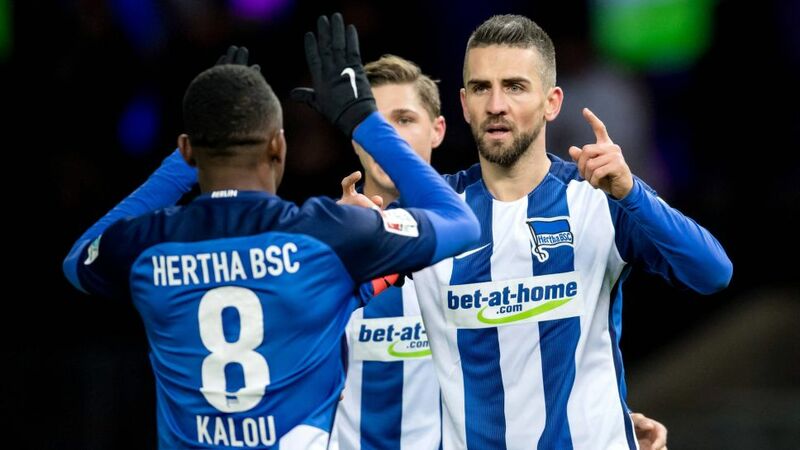 Salomon Kalou and Vedad Ibisevic are set to start together in attack for the fourth time this season, with the latter returning from suspension. On the previous three occasions they have been in the starting XI, the Ivorian and Bosnian have plundered seven goals between them. Bremen have lost just two of their six games with Jaroslav Drobny in goal compared to six out of seven with Felix Wiedwald, but they will have to revert to the latter against Hertha with Czech international Drobny struggling with a calf injury. Zlatko Junuzovic has been suffering from influenza, so Clemens Fritz could start in his stead. Hertha Berlin play host to SV Werder Bremen at the Olympiastadion, with the game kicking off at 18:30CET/17:30GMT on 10 December.